I distincitly remember watching a Madison Square Garden house show in 1984 that was being broadcast (I think) live on the USA Network. Hulk Hogan was set to face Big John Studd. 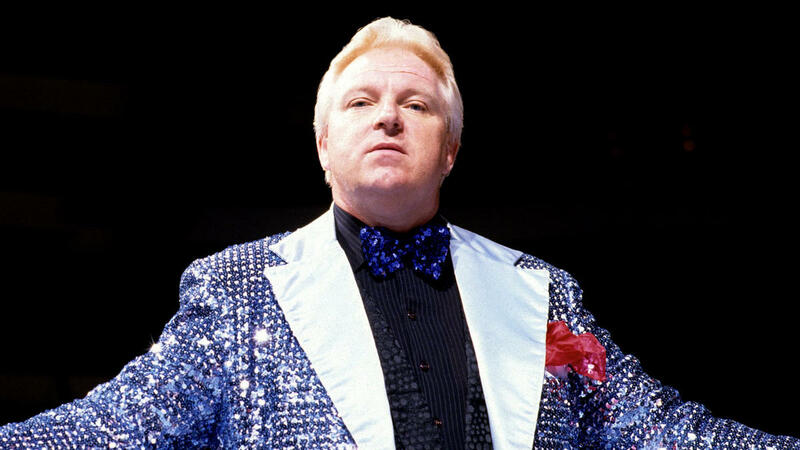 Suddenly I saw in a big surprise: Bobby “The Brain” Heenan was standing next to Studd. Way back then, there was no internet covering wrestling and I had not yet subscribed to insider newsletters, so I had no clue Heenan was coming in. Heenan — who died on Sunday at age 72 — had finally defected to the WWF from the AWA. Studd won the match by countout, starting a long partnership between he and Heenan, and launching Heenan’s career as one of the top managers in the WWE. Heenan’s real first name was Raymond, although many also remember his unofficial nickname of “Weasel,” which was perfect for fans to chant at a heel manager. Heenan was such a great, memorable personality, as he was humorous in a witty way, but could also be deadly serious or outraged. He battled health issues for the last 15 years or so, and anyone who saw recent pictures of him felt sad to see his appearance ravaged by illness and surgeries. Heenan’s career went way past the 1980s scene that I focus on in my blog, as he was Ric Flair’s manager during Flair memorable first WWF run in the early 1990s, and Heenan later joined WCW when that organization took the wrestling world by storm. I’ll talk more in a later post about Heenan’s shenanigans at the old Boston Garden. He had such great improv ability. So quick. He was consistently great for so long, that it became easy to take him for granted. Arguably the greatest promos in the history of wrestling. He had peers in the promo department, but no betters. RIP, Brain. Yes, I agree on the improv and his ability to think quickly using humor, particularly on his promos. I don’t feel he ever tried to overshadow the guys he managed, either. There’s such a great list of guys he worked with.